Sometimes, as when I’m drinking a brilliant glass of Gruner Veltliner made in New Jersey from local grapes or when I’m eating a hand-crafted Bavarian pretzel made with grain grown in Pittstown, I feel exuberant, as though our nation’s culinary soul is slowly being revived. Other times, as when I'm stuck in traffic because of the number of cars attempting to turn into a fast-food drive-through or when I go hungry at an airport because there are simply no good food options, I fear our culinary soul is forever lost. If we are to be nourished well, it will be thanks to our Local Heroes. These are the farmers, the artisans and the philanthropists who buck trends and push boundaries, who research and plan, who study ancient techniques and modern climate data. Their work is remarkable, exceptional and increasingly difficult. Often the financial rewards are limited. We are pleased to announce the six winners of this year’s Edible Jersey Local Heroes competition. They were selected by our readers, from a field of hundreds of nominees, via online voting in December. Please congratulate them and please continue to support not only these six, but also everyone who works toward these same goals. These are the people who feed us. Matthews bought the property that would eventually become Matthews Seafood in 2009. 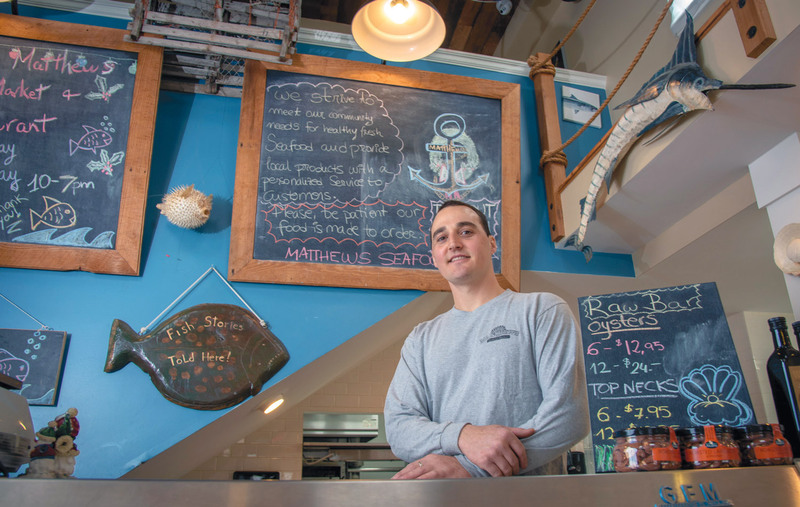 “Initially, I didn’t know what I was going to do with it, so I worked on the boat until 2012 [when] I was ready.” He carefully considered his concept, which opened in June 2013 and is now a retail shop/fish market with takeout, as well as a casual restaurant that’s open for lunch and dinner. The Hunt family, owners of Windy Brow Farms, have deep roots in northwestern New Jersey. “Our family has been here for 300 years,” says Jake Hunt. Of course, one of the main reasons they’re coming is for Hunt’s artisanal ice cream. 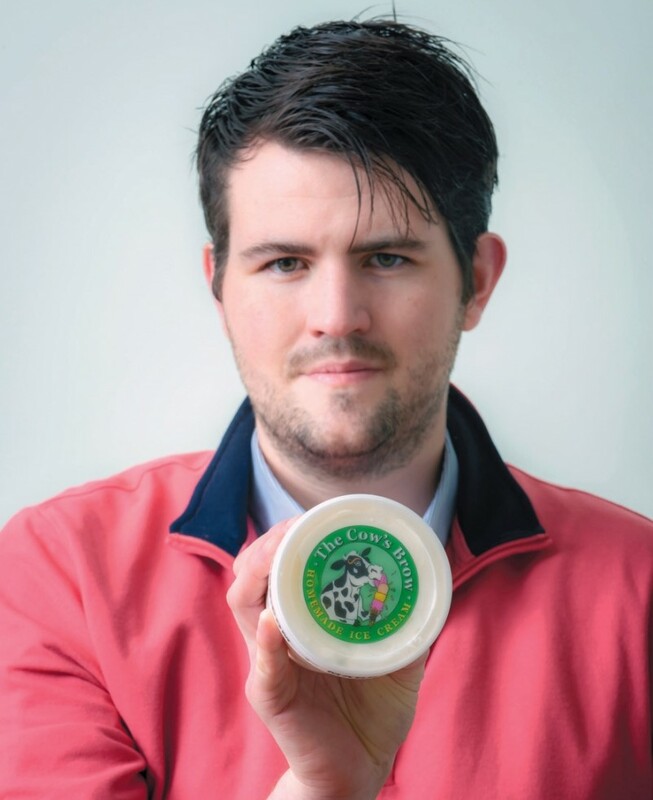 He founded a creamery, the Cow’s Brow, in 2013, and has since been perfecting his recipes. The 15 or so flavors are anything but vanilla, ranging from honey-lavender and basil–sweet cream to blueberry–sweet corn. “We do weird things, not your typical flavors,” says Hunt. Last summer, Hunt debuted his “only in New Jersey” flavors, something he expects to bring back in 2019. Tomato pie, cranberry creamsicle, and blueberry–buttermilk cornbread were popular conversation-starters with a nod toward New Jersey traditions, but the runaway hit of the season was his French toast-Taylor ham flavor. “I didn’t make it to go viral,” says Hunt, though the flavor showed up all over social media and drew crowds who were often surprised at the delicious taste. “I wouldn’t make it if it’s bad,” he jokes. Curtis Bashaw grew up working on his grandfather’s farm in Cherry Hill. “It was easy babysitting for my parents to drop me off there,” he says. Fast-forward several decades. Bashaw, who now owns Cape Resorts, the umbrella organization for some of Cape May’s top hotels and restaurants, including the historic Congress Hall, was doing research for a book about Congress Hall. Bashaw learned that the hotel once had a farm that supplied the hotel. That knowledge, coupled with the fact that a local farm had just gone on the market, was his “aha” moment. In 2007, Bashaw bought the property. He thought it would be terrific to have a farm that supplied his hotels and restaurants. Beach Plum Farm is now a thriving year-round farm, producing 100 varieties of vegetables, eggs, pigs and chickens. But it took a lot of hard work to get the 62-acre farm up to speed. That’s where Andrew Halbruner, livestock manager, comes in. Halbruner is “born and bred Cape May County,” with generations of his family rooted in the area. His family also happens to be farmers, and he was one of the first three staff members at Beach Plum. “I spent a good year hacking down trees, clearing brush and opening fields,” says Halbruner. 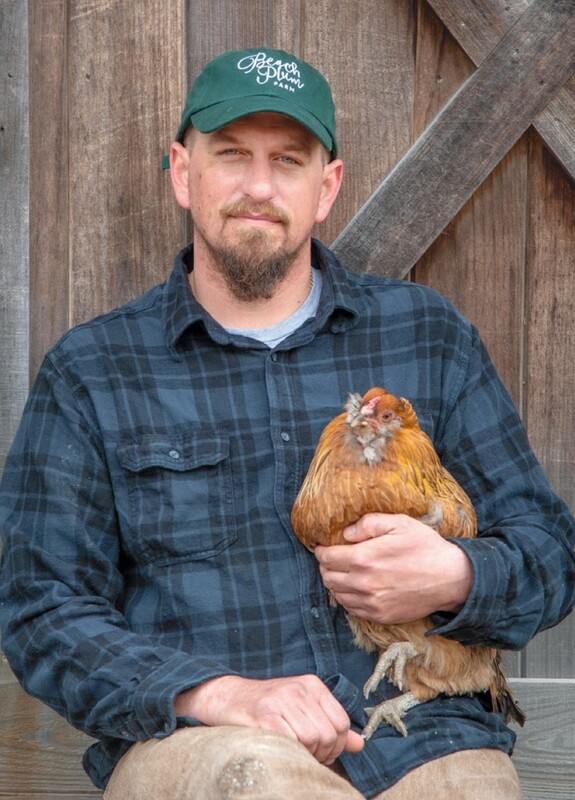 After two years away, Halbruner was enticed back to the farm to run a livestock program. “My goal was to raise enough pigs to supply the hotels.” He’s far surpassed that, with the surplus sold in Beach Plum Farm’s on-site market. 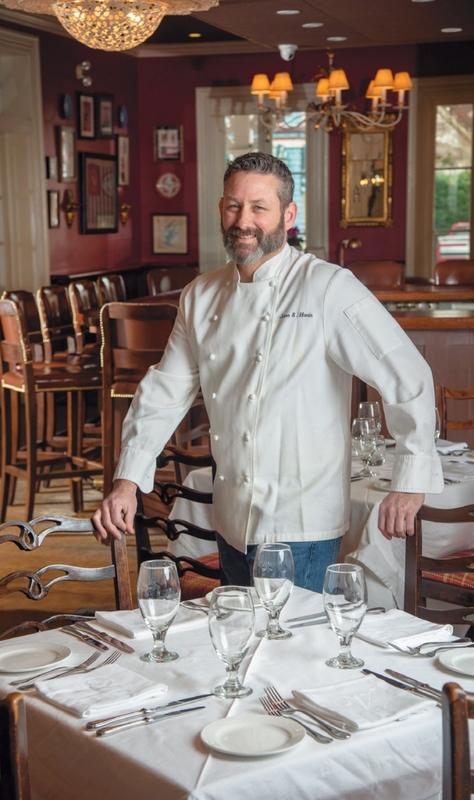 Jason Hanin became executive chef of the Ebbitt Room two years ago. Hanin, a New Jersey native, was living in Los Angeles when he got the call from Curtis Bashaw, owner of Cape Resorts. The Ebbitt Room, nestled inside the Virginia Hotel, recently celebrated its 30th year. Its contemporary American cooking lures locals and diners from all over the region. “It’s an iconic property in a beautiful historic town,” says Hanin. The Ebbitt Room is open seven days a week, year-round. That schedule influenced the restaurant’s culinary direction. “We weren’t just doing light summer shrimp dishes, because, come January, you want something hearty,” Bashaw notes. “There is a lot of love, thought, and care that goes into the food,” says Hanin, who sources vegetables, eggs, chickens, turkeys and pork for his menus from nearby Beach Plum Farm. Hanin, who is quick to point out that it’s a team effort, from the dishwasher all the way up the line to Curtis Bashaw, is clear about his respect for the institution. Dining out may be a routine part of many lifestyles, but for those battling food insecurities, restaurants are typically off the table. “There was a TV show about a local diner that was allowing people who couldn’t afford their meal to help around the restaurant instead,” says Dorothea Bongiovi, who together with her husband, rocker Jon Bon Jovi, founded JBJ Soul Foundation, a nonprofit dedicated to issues of homelessness and hunger. She and her husband began in 2009 by running two weekly pilot programs in Red Bank, opening their first location on Monmouth Street in October 2011. But if you’re thinking JBJ Soul Kitchen is just another soup kitchen, think again. This inviting restaurant subscribes to the farm-to-table philosophy, growing its own produce on donated farmland. It’s also a community space open to all, though on any given night, typically at least 50% of the diners are in need. “The beauty of Soul Kitchen is that it is very difficult to figure out who is paying and who isn’t. Sometimes people have a preconceived notion of what hunger looks like. It isn’t always what we think or imagine,” says Bongiovi. In the winter, the restaurant serves hearty dishes, such as seasoned pork loin or wild mushroom risotto with quinoa in a coconut cream sauce. The kitchen always offers a vegan or vegetarian option and freshly made dessert. While JBJ Soul Kitchen has full-time chefs, one-night pop-ups from visiting celebrity chefs like Carla Hall and Tom Colicchio add to the rock star vibe. During the government shutdown, JBJ Soul Kitchen opened its doors to furloughed federal workers feeling the pinch. 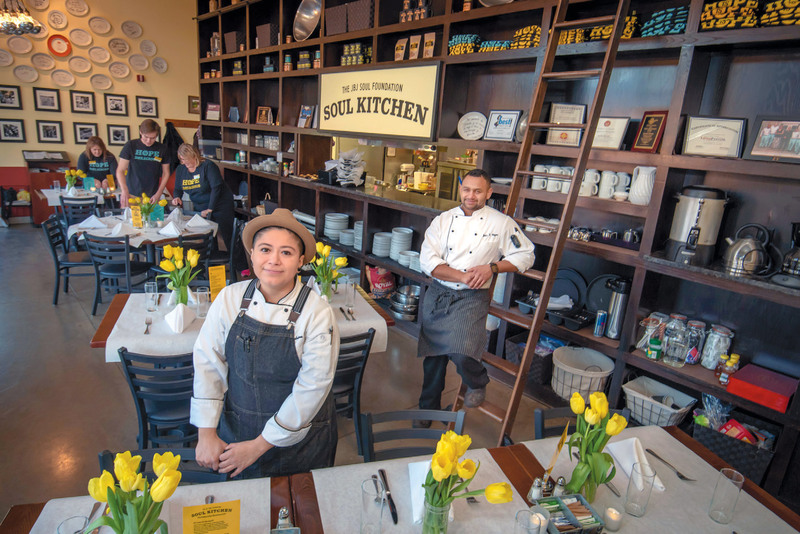 “Soul Kitchen acts as a lighthouse in the community,” says Josh Wiggins, head chef at JBJ Soul Kitchen, Red Bank. Zack Ohebshalom, co-founder of Asbury Park Distilling Co., was already in the business when then-Gov. Christie signed the bill making way for craft distilleries in the Garden State. The business opened Memorial Day weekend in 2017, the same year Ohebshalom became a first-time father to twin boys. “It’s been a whirlwind couple of years,” he says. 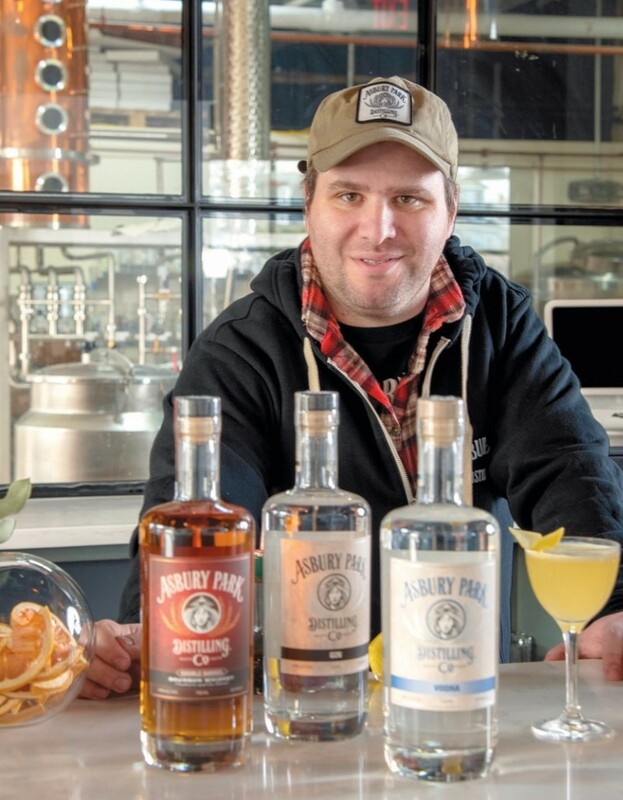 A whirlwind, indeed, as Asbury Park Distilling has been racking up medals for its vodka, gin and double-barrrel bourbon. “We’re very fortunate to have Bill Tambussi, master distiller,” notes Ohebshalom. The distillery is open year-round, and spirits aficionados and newbies alike come for the action. “Sitting at the bar, you’re able to look through the giant windows into the production area and see the process. You come in for a cocktail and get a little bit of theater. It’s like an open kitchen concept, but for spirits,” he adds. “Asbury Park” is emblazoned on the company’s bottles, and Ohebshalom and his co-founders recognize their roles as ambassadors for the city. It’s something they take to heart. They worked with local artist Porkchop to craft a locally inspired vision for the brand. Rye stalks and juniper berries recall the state’s agricultural history, while the Medusa-like mermaid was inspired by the town’s carousel. It’s important to notice her closed eyes. Every year, Edible Communities magazines around the country ask you, our readers, to name Local Heroes in six categories. Here in New Jersey, there is no shortage of worthy candidates for the title. 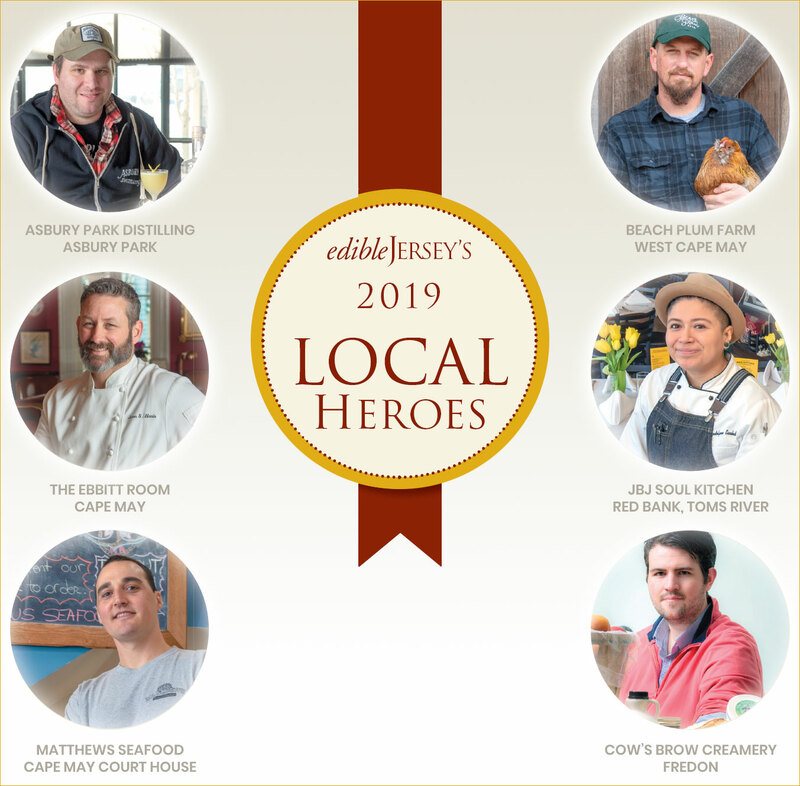 Every year, we ask Edible Jersey readers to vote for some of their heroes in the local food movement— farmers, chefs and food entrepreneurs who have made a positive impact in their communities.